our little roo is turning into a foodie! We started solid foods a while ago... just here and there... and now we regularly share little banana with her for breakfast. 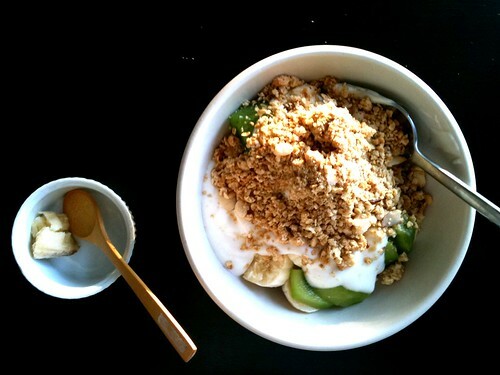 She is pretty excited when she sees her spoon. Like a little baby bird with her open mouth. We are starting to see bibs on her outfit collection too! 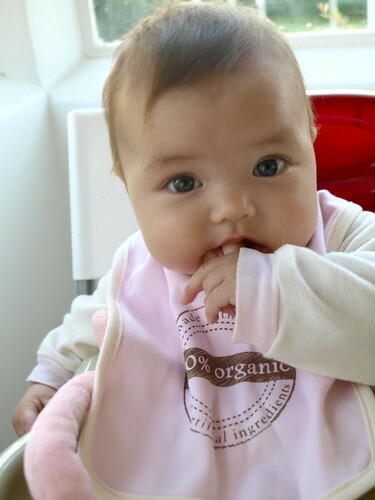 Doesn't her pink "100% organic" bib look super cute on her?? The photo is my absolute favorite from the week!